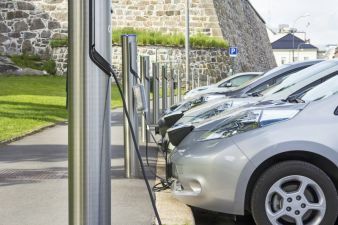 Growing worldwide demand for energy and the increasingly fierce climate debate is also boosting demand for battery systems of different types, shapes and performance in both the private and industrial sector. The use of a nonwoven can significantly increase the service life of battery systems. The energy transition and the trends in electromobility are demanding improvements in existing materials, or innovations with completely new approaches. As a result, in numerous research projects and in the battery industry, the focus is on new material profiles in combination with industrial plant technology for cost-effective and efficient energy storage. 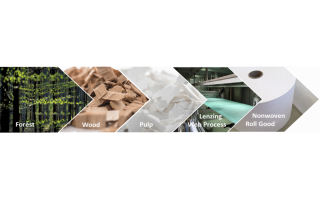 This development is being accompanied by an increase in demand for technical textiles, especially nonwovens and their diverse applications – such as functioning as separators in battery systems. The task of the separator is to separate the cathode and anode in batteries (the negative and the positive electrodes in accumulators) both electrically as well as physically and to absorb an electrolyte. This barrier is important for insulating the poles and preventing short-circuits in the batteries, while absorption of the electrolyte is a prerequisite for the ion flow. 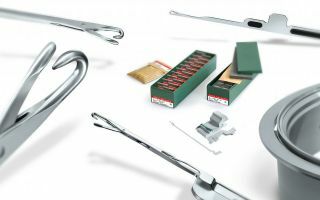 Meeting the numerous requirements constitutes a major challenge for separators. Possible battery separators include microporous polymer membranes, inorganic composite membranes, and nonwovens. Price is a further important criterion in the selection of a suitable separator. In this emerging industry, constant pressure on prices, the ever more economical production of nonwovens, diversity in the choice of raw materials, and the high number of possible variations are all sharply increasing demand for nonwovens. 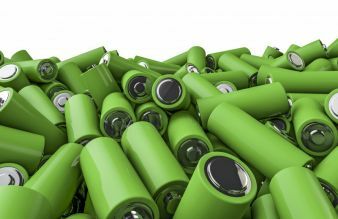 Separators that have to remain stable over many charge/discharge cycles are made of higher-quality materials than those used in inexpensive, disposable batteries. Today's battery industry is now inconceivable without powerful separators and thus without nonwovens. Battery production primarily uses carded nonwovens, wetlaid nonwovens, meltblown fabrics and spunbond fabrics as separators. These are usually still needled or hydroentangled to obtain certain properties, e.g. a larger surface by means of felting. Depending on the respective manufacturing process and field of application, nonwovens are subsequently further equipped in order to generate additional special effects: Hydrophilization (increase in fluid intake capability) and ceramic equipment are just two options for increasing the efficiency of a battery. In lead-acid batteries, materials are used which withstand the highly acidic and oxidative conditions. Extruded or sintered separators made of polyethylene, sintered PVC or mats made from microfiber fleece are used here. For nickel-cadmium batteries in the strongly alkaline milieu of potash, separators made of polyamide and polyethylene/polypropylene combinations are predominantly used. Here, nonwovens are almost exclusively in use today. The conditions for nickel-metal hydride batteries are the same as for nickel-cadmium batteries, except that the battery separator also has to be able to reduce self-discharge. This is achieved through functionalization of the nonwoven surface by means of chemical treatment, e.g. surface treatment with acrylic acid or sulfonation. With rechargeable lithium batteries (Li-batteries), membranes are generally employed. These are microporous films which can partly consist of several layers. They have low temperature resistance and, despite the use of ceramic layers in separators, can break very easily. Research is currently being conducted into materials based on very fine nonwoven fabric that has been ceramic-coated. This makes the separators more temperature-resistant and less prone to breakage, and promises increased safety for rechargeable storage media that have long-term stability and are operationally reliable – especially for applications in electric vehicles. 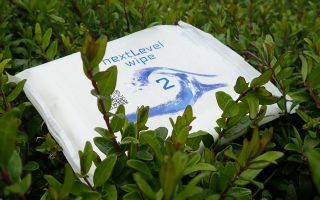 With non-rechargeable Li batteries or Li-primary batteries, either nonwovens or microporous films are used. In non-rechargeable alkaline manganese batteries, nonwovens are mainly used as separators in a mixture of polyvinyl alcohol microfibers (PVA) and cellulose. Similarly, laminates made from nonwoven fabrics and membranes such as cellophane are also utilized.